Learning Analytics is quickly becoming a part of the training strategy in organizations around the world. Just as organizations measure productivity, quality, and profitability, there is a need to measure and evaluate the effectiveness of online training programs. The good news is that, this is both possible and simple through the application of learning analytics via a Learning Management System. Wondering how learning analytics makes this possible? 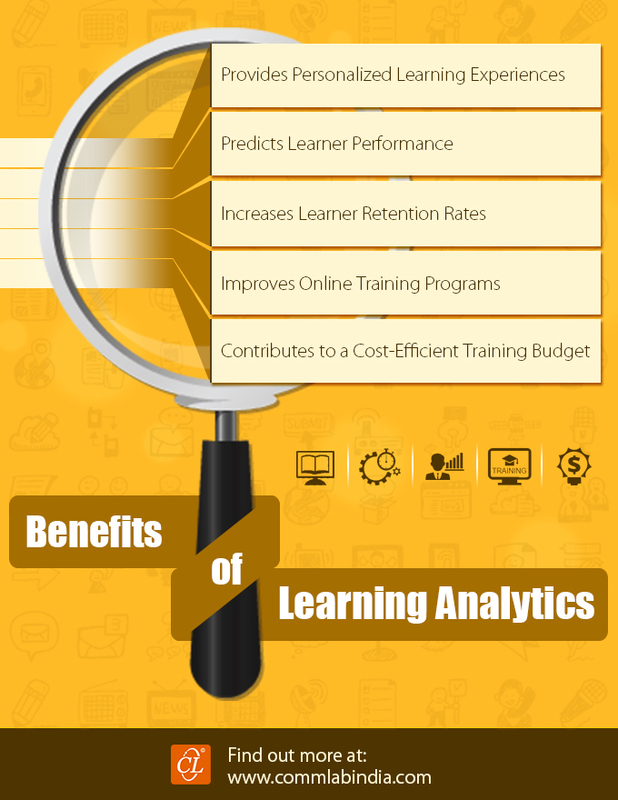 Check our infographic to know five benefits – how learning analytics can bring positive changes to your online training programs.